Welcome to Dream Yard's DIY Landscape Design Series. 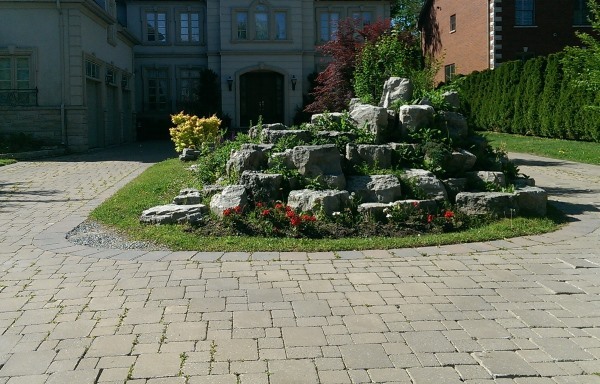 Landscaping design is where all your taste, style, and needs all come together to blend in harmony. In order to achieve this harmony, there are some pretty basic guidelines that you should be aware of. It's a great idea to browse the internet for free landscape design information, and we are glad you found us. While the basic fundamentals are all the same, each different site will have it's own slant, or angle to give you a different perspective. Each different perspective will give you something you need to approach your own design with a much more informed mind. While no one could possibly cover it all, we have condensed some of the most important fundamentals and broken them down into a series of articles. Before we feed you any information, rules, and guidelines of DIY landscape design, let's get started talking about you. 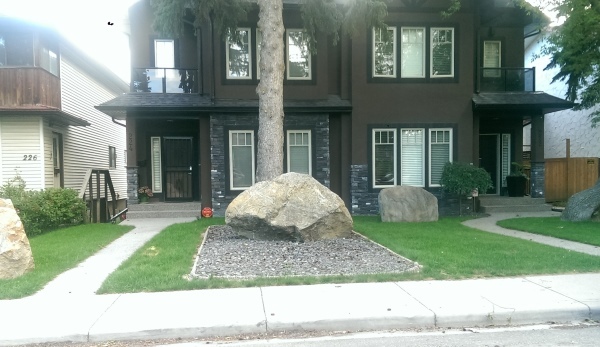 A simple front yard design is an easy project to tackle for DIY landscape designers. How do you design a yard for “You” yet still follow the rules? This is an important question, so we're going to start off our landscaping design series exactly where we should. “You”. Yes, there are basic fundamentals of design you may have to follow. Yes, there are themes, outdoor rooms and some other concepts we'll cover. There are many guidelines you'll learn, but having all these things in your head doesn't change the fact that is still revolves around you. Your ideas, wants, desires, taste, style, and needs are still the ultimate determining factor of what your yard will look like. In the end it's all about you, but life is always about balance right? Following certain rules of landscape design ensures you end up with properly balanced features in proportion with the surroundings. The right way, and the more right way. We're going to teach you what you need to know, but it's up to you to use some restraint and find that balance. We'll even make it a little easier by giving you a right way, an even more right way, but only one wrong way. This will give you a little bit of leeway when you may not quite follow the guidelines, but things could still be “Acceptable”. We only want to make sure you avoid the wrong way. Easy landscape design ideas can be found in magazines, on websites, or you can get ideas from driving and walking around. 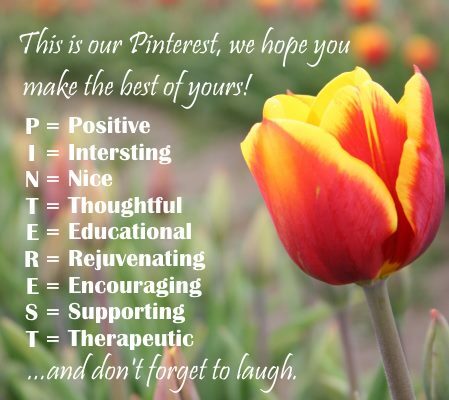 If you've never been on Pinterest before, you should visit our virtual pin boards. Dream Yard has over 17,000 landscaping picture ideas categorized on over 80 different boards. There are already nearly 200,000 followers that get the inspiration they need for their Dream Yard. You can put all your ideas on paper, or you can also save them virtually on Pinterest boards. What major features do you want? A patio for entertaining and dining? A firepit? Walkways? A hot tub? What plants, trees and shrubs do you like? Deciduous trees or conifers? Do you want shade year round? Do you need privacy? What do you need for your children? Playground sets? Pools? There are dozens of questions to be answered in this stage of the game. Here's the advantage of getting to know your local area. You can talk to people and find out what plants and trees do well and which one's don't? You can ask them questions about the maintenance requirements of their yards? What are the popular or common themes you see locally? Did you think about matching your yard to the architectural style of your home, or maybe even the surrounding homes? Will your ideas contrast against these surroundings enough to negatively affect your design? There are also times when you will be limited by outside influences (Which will be part 3 in the series), like when your lawn is directly connected to the one beside you. Without a separation between the properties, you may have to conform a little when considering your own theme. Perhaps you could even work with them? I have done some simple, yet creative things between houses when people are willing to work together. Make sure you are going to be able to upkeep and maintain what you design. A landscape designers job is to sit down with a client and listen to their ideas. From there, they can determine what will and won't work. It's not about pushing anything on a client, but to find that balance of what will work for the while still being “Right” as a design. This is what they are trained to do. Incorporate you, into an effective design. Designing without the aid of a professional is a little tougher, but you can still work together as a couple or team. It always helps to have one of you (The one with the most developed “Eye”) focusing on the key fundamentals. (All the ways you are supposed to do it.) While you put all your ideas down and start mapping them out, they are able to play the role of the landscape designer. So that's a little about you. The idea is to not lose your identity, taste, style, in the process of following all the rules and guidelines. We already hinted at part 2 in the series. We're going to take a look at outside influences that can affect your design. Hitting the paper without considering these factors can only lead to disappointment. Don't worry about complicating the whole design process with scale drawings and professional programs when simple bubble diagrams will do just fine for most homeowners. 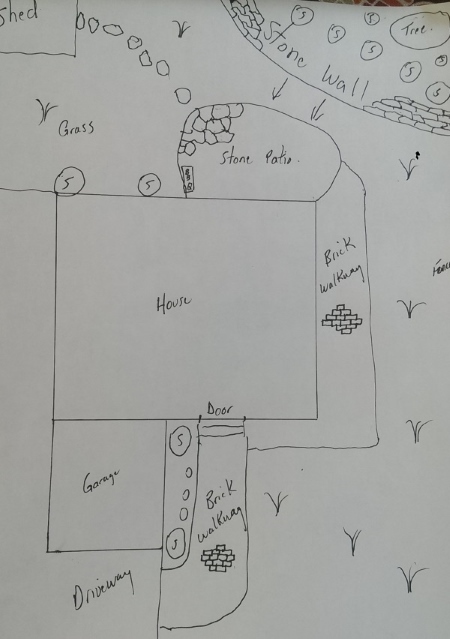 DIY landscape design doesn't require programs or scale drawings. Simple bubble diagrams often work just fine. Identify your style, taste, needs, and formulate a wish list. Spend some time getting to know the popular themes, plants, trees, etc.. that already work in your area. Try to work as a team when putting the design together. Both of you agreeing on everything may cause you to miss important design fundamentals. Don't get lost in process of following all the rules all the time, try to find a balance that works. Stay tuned for our next instalment of 'DIY Landscape Design'. Sign up for our email newsletter BELOW to get notified when it goes live!